For our last session, we wanted to inspire but also provoke students, with a guest speaker who works in technology. We wanted the speaker to provide some real examples from their job, and talk about what they felt are some of the “ninja skills” of the future, given the trends of automation and climate change. We also wanted to make the links between skills used in fixing and real jobs. We are really lucky to have among our London volunteers Sophia Flucker, who works as a data centre specialist in her dayjob, trying to reduce the environmental impact of the internet. Sophia revealed that she literally grew up around the corner from the Archer Academy, went on to study engineering at university, and developed an interest in sustainability. She did not really know how to combine these interests in a career. But her big break came when she got a temporary job at a data centre company, which subsequently hired her in a technical role. She said the sector initially only cared about reliability above all else, but over time companies have started to look to save money by greening their data centres. Sophia explained to students that what she most liked was the hands-on, practical and innovative part of the job, testing new energy-saving solutions for heat dissipation. For session 10, we are creating a worksheet on these themes, as well as questions educators can pose to guest speakers. 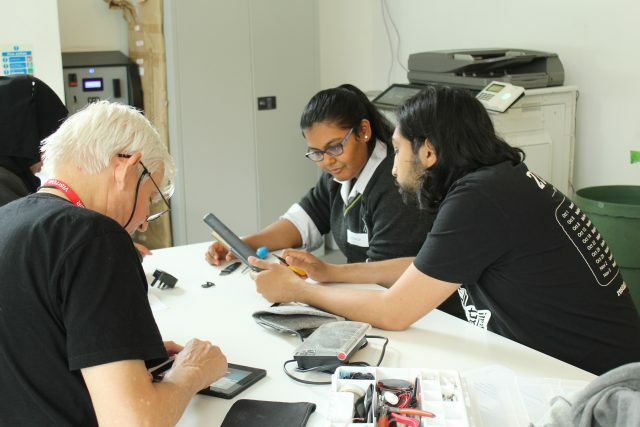 We condensed this session into an opener for Archer Academy’s first Restart Party, where volunteers paired up with student Restarters to help them fix parents and friend’s gadgets. Students and staff had done publicity locally, putting up posters, as well as featuring the event in the school newsletter. The turnout was really good! The school had invited to great local repair businesses, one specialising in electrical appliances and in mobiles – we would encourage schools to partner with local repair businesses both in our enrichment sessions but also in the public repair events. 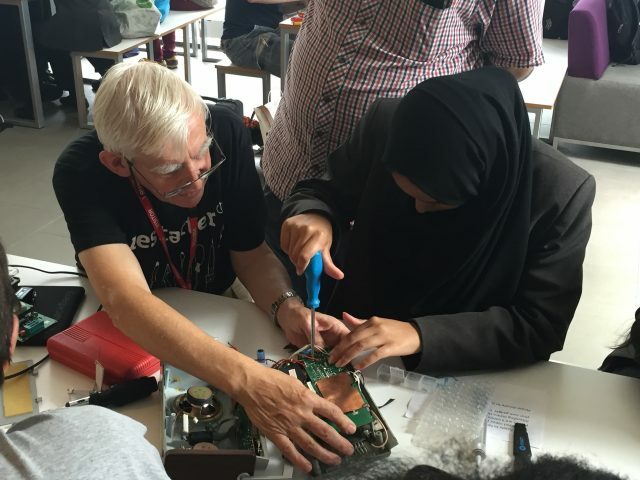 For many students, it was their first time taking apart mains devices with guidance from skilled volunteers. There was a real buzz of excitement, and there were many smiles. We’ll be working with Head of Design and Technology Darren Pearson, and our student Restarters again in the autumn.